Homeowners who live in this development rallied together in 2011 to purchase their manufactured-home community. Almost from the start, leaders of the Park Plaza Cooperative dreamed of building a new storm shelter. When severe weather threatens along a tornado alley, these facilities are literal lifelines for families. But Park Plaza’s original shelter held only a small portion of the community’s 200-plus residents. The windowless, underground bunker also lacked electricity and was prone to flooding, forcing homeowners to evacuate to a public shelter at a nearby hospital when authorities issue weather warnings. TSP collaborated with the Cooperative’s board and funding partners at Northcountry Cooperative Foundation to create a structure that gives residents security and a place to gather for neighborhood events. TSP provided architecture, interior design, and M|E|S engineering services for the project. The masonry-construction shelter is accessible from two streets within the neighborhood. 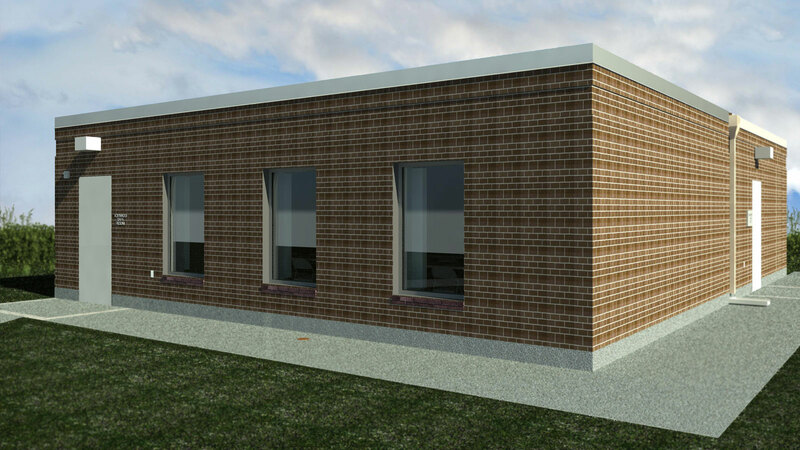 The storm shelter has windows to provide natural lighting on most days, but wind-rated shutters and doors will secure the building during severe-weather threats or events. 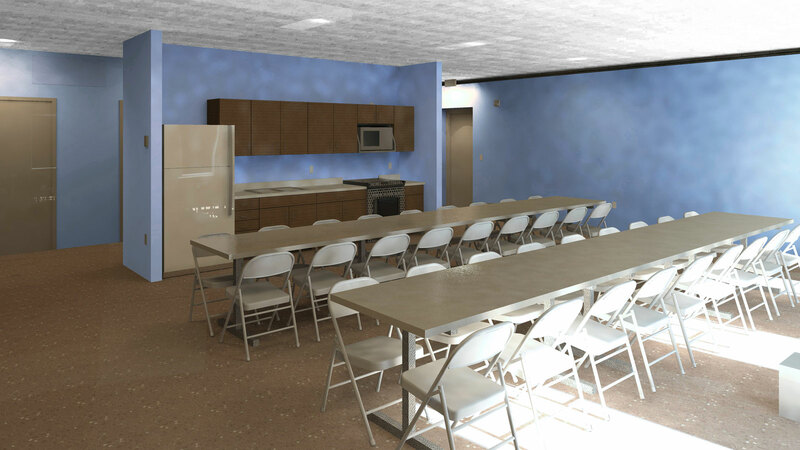 The shelter also features a small office, a mechanical room, two toilet rooms with sinks, and a community room with a kitchen. Board meetings have relocated from garages to this space, which is accessible directly from one of two building entrances. Construction was completed in late 2018 with a ribbon-cutting held on April 4, 2019.